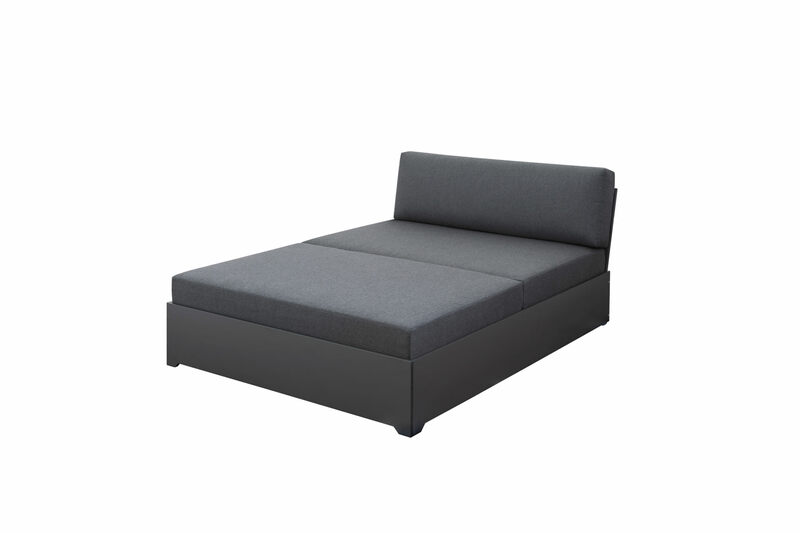 Lounge Daybed 120 HPL anthracite with cushion and pad in Sunbrella anthracite Natté. Transform your terrace or garden into an extremely elegant quiet zone – we make it really easy. Would you like a sun lounger for your terrace or balcony that offers you more comfort than last year’s folding lounger? 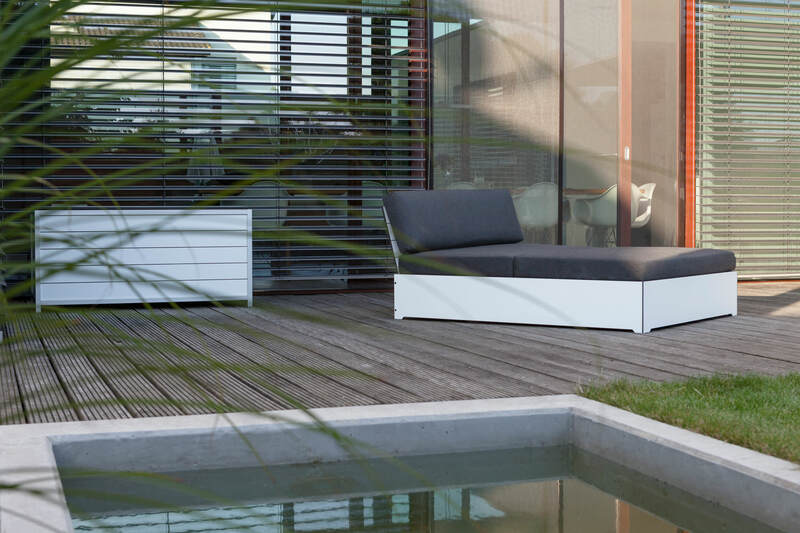 You can easily transform your terrace or garden into a comfortable, extremely elegant quiet and comfort zone with our daybed 120 (120 stands for the generous width) Of course, you can also relax and watch the sunset with someone else, if you want to. Your choice. 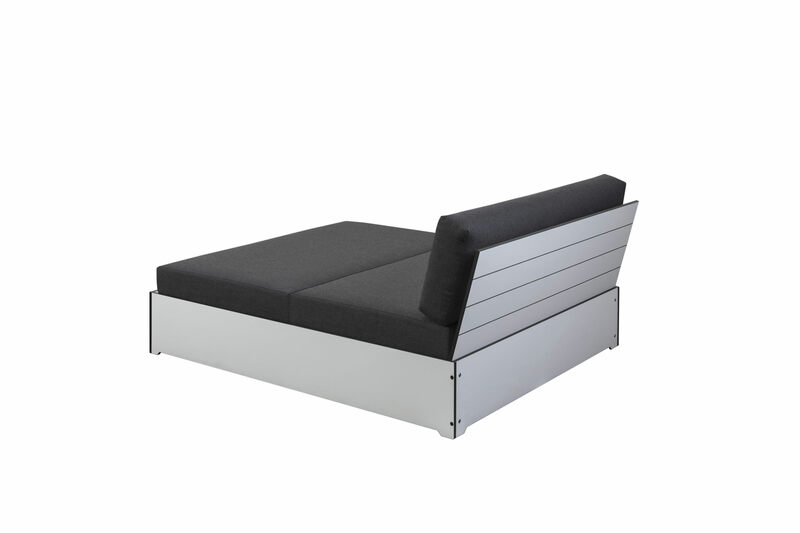 Our daybed 120 is available in white or anthracite HPL with a two-piece lounger cushion and a back cushion. The head section is adjustable. But that is not enough, thanks to the wheels you can move it ensuring you’re on the sunny or shady side of your terrace quickly and flexibly. And you can keep refurnishing your balcony, terrace or garden whenever you please. And don’t worry if it rains – after all, we’re not made of sugar! 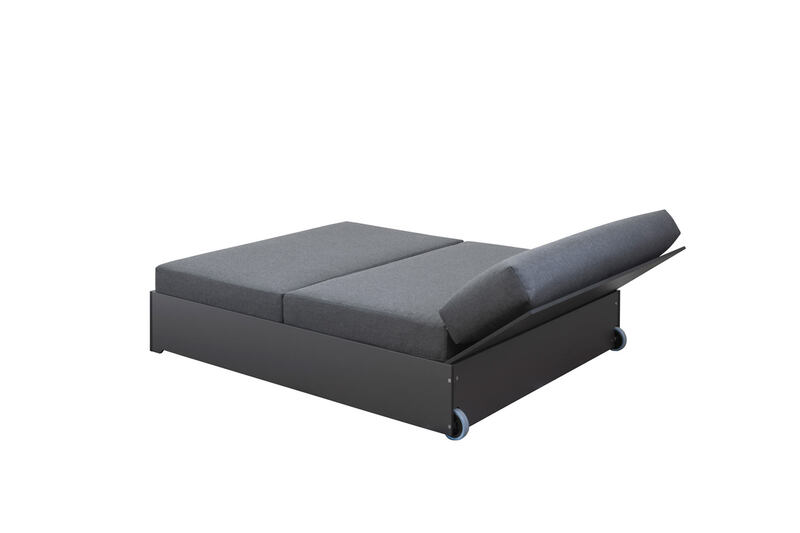 There is a special cover for our daybed, so it can stay outside all year round. And by the way, there’s now no longer any need to look for a cosy spot in the sun at the start of the season – you can get out there and enjoy it as soon as you like.  Standard delivery includes 2 lounger cushions and 1 back cushion in Sunbrella fabric in the colour Natté Sooty (dark grey). 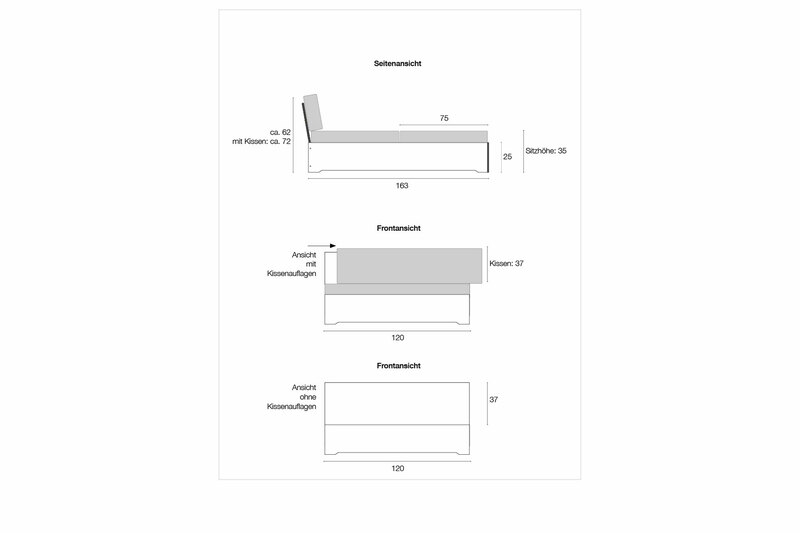 You can easily put our daybeds cushions in our cushion box 04 when they are not needed.